When I made the decision to embark on a largely bicycle-based tour of every prefecture in Japan to investigate music scenes outside the industry mother-brain of Tokyo, I made a point of not having any expectations. Once on the road, however, the theme that quickly jumped to the fore was the relationship between the gravitational pull of “home” and the need to escape and look beyond. In the music scene, the tension between those two forces often manifests itself in the balance between bringing in new, exciting music from elsewhere and the need to foster the development of local musicians. In my previous column, I characterized these forces as “patriots” and “dreamers,” which perhaps reveals something of my own bias. My instinct is to abhor parochialism, and in Tokyo that often means introverted little scenes being unwilling to look outside their self-constructed borders. After a month on the road, however, it’s clear that in the Tohoku region and its surroundings the balance of power in the musical infrastructure often seems to work to the detriment of local musicians and niche genres. Towns with a population of around 300,000 (the size of most major cities in northeastern Japan) tend to be able to support about three dedicated live venues. This already limits the playing opportunities for local bands, and the situation is exacerbated when many of these venues focus their energies on providing high-end PA setups for touring acts, which they fund by charging local acts to play. This pay-to-play situation is one any band in Tokyo will be familiar with, but in the economically depressed Tohoku area, it is enough to price many bands out of a lot of the venues. Along the Iwate Prefecture coast, new venues built to encourage the revival of tsunami-hit areas after 2011 have — while having an undeniably positive effect on audiences — nonetheless caused some resentment within the local musical community for just this reason. As a result, some of the most interesting discoveries of this trip so far have been the ways local artists and organizers have worked to subvert and bypass the “live house” system. One result of the economic hollowing out of northeastern Japan has been a proliferation of unused buildings that no one seems to know what to do with. 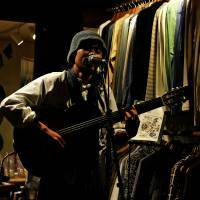 Yamagata Prefecture has made a conscious effort to put these to use in the arts scene, and in places like Iwate local musicians like Kyoju Murakami of math-rock duo te_ri have discovered that they can be rented very cheaply. The ancient wooden building known as Batarenchaya has been a godsend to local noise and experimental musicians. In Tokyo rehearsal studios have often provided an escape route for bands who want to avoid the financial squeeze of the live house system, and it’s along similar lines to this that Koriyama’s Tissue Box studio, run by Arakawa from local “cheapcore” avant-rock trio Redd Temple, has become not only a live space but also a hub and point of interaction for a diverse range of local bands. Perhaps most fascinating though, has been the way Buddhist temples have on occasion played host to live events. In Niigata Prefecture, Ojiya’s Gokurakuji, Sanjo’s Saimyoji and Niigata’s Shofukuji temples have all hosted live music events. As a result, he started hosting an event called Anti-Music at his temple, providing opportunities for musicians such as local guitar noise act Diesel Guitar as well as his own drone music works. 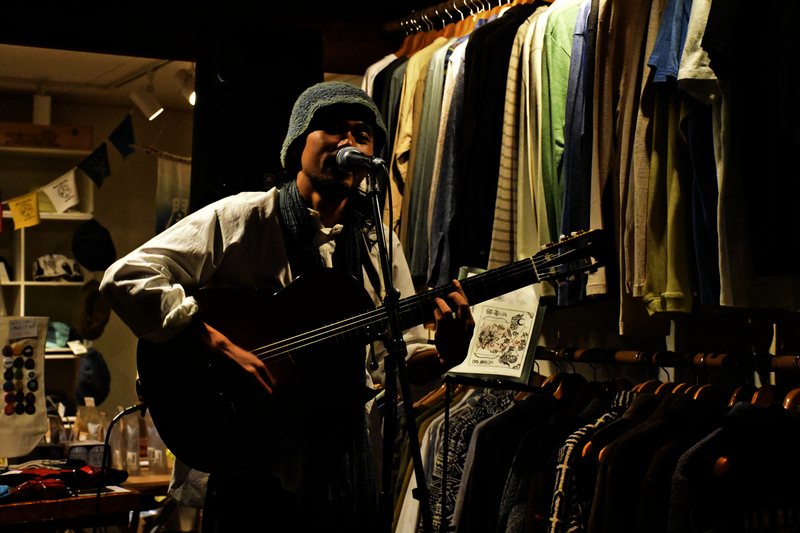 All these alternative musical environments rely to a great extent on people like Murakami, Arakawa and Kasahara to keep the spaces alive, and the fact that they do is to the great benefit of not only the musicians they support but also the towns as a whole. What they’d probably all agree on, however, is that the best way of paying respect to their efforts would be for more people to follow their lead.